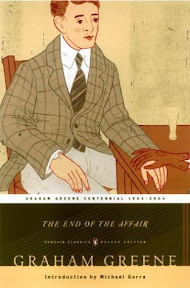 The Top Ten…er Eight…Books I Want to Reread (on audio) – my books. my life. I am putting a little twist on this week’s topic. These are all books I want to reread, but I plan on rereading in audio. Audiobooks have become my preferred rereading method. It takes less time from my busy print reading schedule and gives me a new way to experience an old favorite. 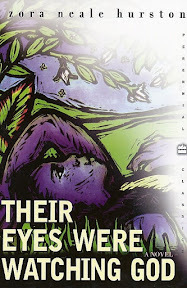 Here are eight books I want to reread in audio. What books do you want to reread? 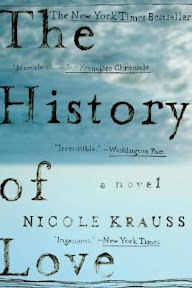 Do you ever use audiobooks to reread favorites? I have a hard time with audiobooks, but I think doing a reread would be easier for me. I would love to listen to the Harry Potter books. I’m hoping to read The Night Circus soon. I would listen to anything Jim Dale has narrated. He’s amazing! I would read everything on your list. 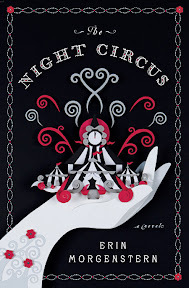 I haven’t read Night Circus yet, hoping the book fairy drops it in my mailbox soon. 🙂 The rest on your list are absolute favs. 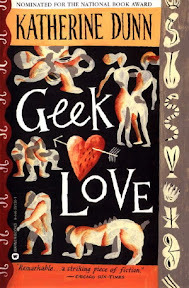 Geek Love is one of my very favorite books, and I never see it mentioned anywhere! I am so glad to see that on your list! A lot of the others are great choices as well, and I am hoping that you get the chance to indulge yourself and listen to them all! My list is mostly ones I want to listen to, too. That’s just how I “reread.” I have To Kill a Mockingbird on my list, too. 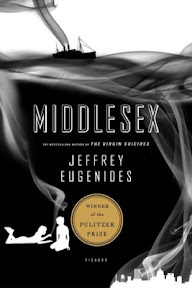 I can tell you that Middlesex and To Kill a Mockingbird (read by Sissy Spacek) are particularly good on audio. Enjoy! I have a few books on my list to re-read this year (Shani Mootoo’s Cereus Blooms at Night, Timothy Findley’s Headhunter, and Alice Walker’s The Color Purple). But I guess because I did read them first, I think of re-reading with an actual book. I wonder if I just need to re-think how I define re-reading, or if listening will always feel like a separate activity for me. I’ve added Night Circus to my TBR list, but since you mentioned Jim Dale was the narrator, I’ve decided to listen to it. I loved Dale’s narration of Harry Potter, so I think I’d like to listen to him again! I reread all the Harry Potter books this spring leading up to the final movie, and it was a blast. It had been years since I first read them, and listening vs reading are always two different experiences for me. 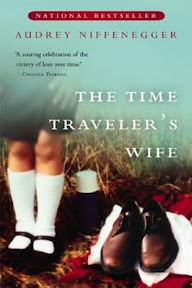 I listened to the Time Traveler’s Wife, and it was good but hard to follow! I think it would be good to have read that with your eyes before listening to it, because the dates and ages are kind of hard to follow in the audio. Takes a bit of concentration! Fun fun! Love a good audio! I hardly ever reread a book. I would reread The Time Traveler’s Wife and Water for Elephants. I was mentioning in my reponse to Jamie on her post that I’m intending to re-read the Hunger Games trilogy on audio when it gets close to the movie release. Even though I may not see it in theaters I want to get back up to snuff so I can participate in some discussion if there is any.